We'll Tak' a Cup o' Kindness Yet: Awesome Open Access Film Studies Links to See Out 2016! Edited by Shane Denson and Julia Leyda (Falmer: REFRAME Books, 2016). In this end of year post, Film Studies For Free reflects on and links to some of its very favourite 2016 open access resources selected from the ones that this blog's author had a hand in producing, contributing to, or publishing. It has been a (deadly) funny old year, to be sure, one that began with tributes aplenty to David Bowie and has concluded with ones to Carrie Fisher and Debbie Reynolds (see also here, here and here). David Hudson rounds up some of the cinematic losses here. And some of FSFF's own tributes are linked to below, alongside blog entries, amazing free ebooks, and wonderful journal issue contents. FSFF wishes all its readers and supporters a happy, healthy 2017. And it looks forward to producing and purveying plenty more open access film studies resources in the year ahead. New LOLA, [in]TRANSITION, MOVIE, Film-Philosophy, MOVIE, Film-Philosophy, Senses of Cinema plus a video essay on Todd Haynes' CAROL, and more! As last year, Kevin B. Lee polled "esteemed video essay creators, scholars, programmers, and devoted followers of the form to highlight the best video essays of the year. Each year it becomes more necessary to crowdsource this task, for in the words of notable video essayist David Verdeure / Filmscalpel, 'It has become impossible to keep up with all video essays that are made, with the form proliferating in both academic and film fan circles.' These poll results might offer some help in sorting out the standouts of the genre. Videos mentioned most frequently in this poll are embedded below, along with the individual lists." Open Access Film Studies eBooks x 2! A major scholarly collection edited by Shane Denson and Julia Leyda, and published by REFRAME’s open access ebook imprint. If cinema and television, as the dominant media of the 20th century, shaped and reflected our cultural sensibilities, how do new digital media in the 21st century help to shape and reflect new forms of sensibility? 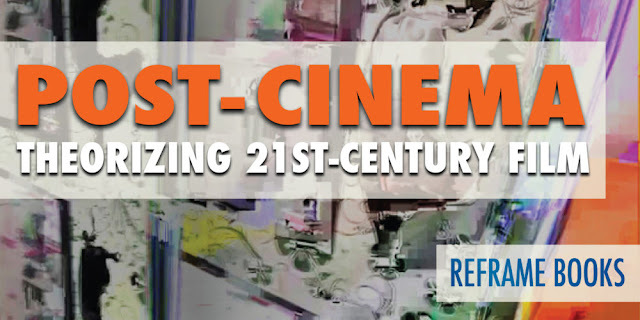 In this collection, Denson and Leyda have gathered a range of essays that approach this question by way of a critical engagement with the notion of “post-cinema.” Contributors explore key experiential, technological, political, historical, and ecological aspects of the transition from a cinematic to a post-cinematic media regime and articulate both continuities and disjunctures between film’s first and second centuries. The website collects materials relevant to Chinese Film Festival Studies, including reports on network events, bibliographies, lists of and reports on film festivals, and much more. There is a bumper entry still to come here at Film Studies For Free before the global annus horribilis of 2016 is out, you mark this blog's words. But in the meantime, below is a handy list of links to the thirteen free film-studies videos its author has made and formally published in the last twelve months (see here for more information). There are a few unlisted ones that were also made this year and await publication, including yet another videographic work on Brief Encounter... These should see the light of online day in the next calendar year. THE ARCADES VARIATIONS A collaborative video experiment using film images from De Stad In Spiegelbeeld Amsterdam, J.P. Smits Filmdistribution, 1925 (From BITS and PIECES Collection - BP300 EYE Film Instituut Nederland) by Catherine Grant and Stanislaw Liguziński https://vimeo.com/168220320. See project documentation here: https://vimeo.com/filmarcades. the more successful I am. It costs a lot to be authentic, ma’am. Film Studies For Free is delighted to celebrate its eighth birthday with a tiny new video essay (above) and a whole entry (below) devoted to a wide-ranging collection of links to online and open access studies of the work of one of its favourite filmmakers of all time: Pedro Almodóvar. Thanks so much to all FSFF's readers for being (t)here over the years! It's been a 'fount of pleasure' (as José Arroyo writes of Almodóvar's films), and an authentic joy. Jeremy Biles, 'The Skin I Live In,' Journal of Religion and Film, Vol. 16: 1, 2012. Pedro Almodóvar’s Obsessions (III): Art by Jorge Luengo Ruiz. in Gibbs and Pye (eds. ), Style and Meaning... (MUP, 2005); 22-25. I suggest that a prime task of interpretation is to articulate in the medium of prose some aspects of what artists have made perfectly and precisely clear in the medium of film. The meanings I have discussed in the Caught fragment are neither stated nor in any special sense implied. They are filmed. Whatever else that means (which it is a purpose of criticism and theory to explore) it means that they are not hidden in or behind the movie, and that my interpretation is not an attempt to clarify what the picture has obscured. I have written about things that I believe to be in the film for all to see, and to see the sense of. It is with very great sadness that Film Studies For Free brings you its latest entry: a commemoration of the life, film criticism, theory and scholarship of Victor Perkins who died a week ago today. V. F. Perkins was a founding editor of the hugely influential film critical publication MOVIE. He was also the author of Film as Film (Penguin, 1972), one of the most inspiring of the foundational texts in film studies, and of two thrilling monographs on individual films for the BFI Film Classics series: The Magnificent Ambersons (1999); and La Règle du jeu (2012). After beginning to teach on cinema in a number of institutional settings from the 1960s (including at Bulmershe College of Education), he lectured on that subject at Warwick University (in the remarkable department he co-founded) from 1978 and was Honorary Professor in Film Studies. Although Victor had been ill for several years, his passing was quite sudden and thus shocking to his family, friends and colleagues. 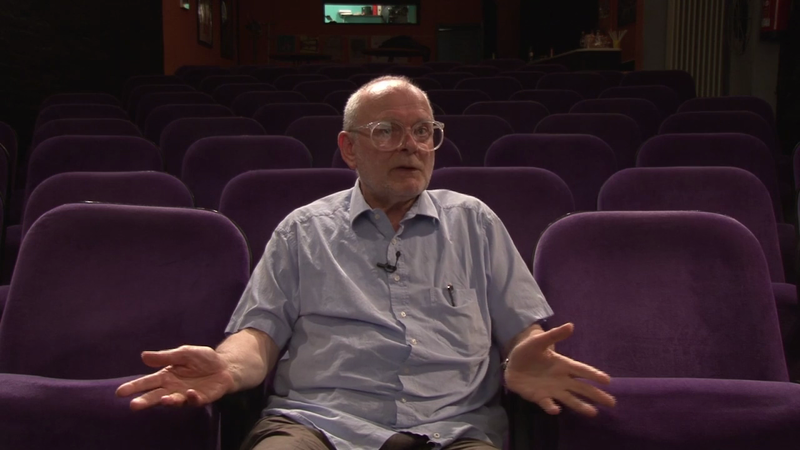 He is, without doubt, someone who will be greatly missed by all those blessed by his personal and professional acquaintance (by all accounts, he was a truly wonderful colleague, teacher and research supervisor), as well as by the many, many thousands of people around the world who have loved and learned from his writing on the cinema. There will undoubtedly be many tributes to his work from those who are much better qualified to write these than FSFF's author. So the aim of what follows is confined mostly to the significant task of updating existing entries at this website on Perkins' online work, and in collecting together links to online interviews with him, and writings about him. But FSFF also offers up, below, four videos about Victor's work - three of these newly commissioned and produced in memoriam since Victor's death - by Christian Keathley, Hoi Lun Law and Catherine Grant (the fourth is by film scholar Patrick Keating). Update: Alex Clayton's tribute "Spin the Wheel" was added on July 27 and Ian Garwood's "Choice Moments" on July 30. Furthermore, it warmly invites its readers to produce and submit their own online tribute videos and texts (please send links to these via the comments function below, or by email, and also please send on links to any relevant work or resources not yet listed below. Thank you). In the meantime, FSFF's author offers her deepest condolences to Victor's family (especially his daughter and son), and to his close friends and colleagues at this very sad time. On VFP's reasons for using a particular photograph in his teaching. The below embedded videos are the twelve constituent parts of a truly fascinating interview with V.F. Perkins which took place at the Kino 8 1/2 in Saarbrücken, Germany, and was filmed by Media Art and Design Studiengang. In the interview, Perkins engagingly discusses his approach to film studies and, in particular, talks about the trajectory of his foundational 1972 book Film as Film, and about his research on Jean Renoir's1939 film Le Régle du jeu about which he had written a 2012 book for the BFI Film Classics series (excerpt here). A New Video Tribute to the Work of Film Scholar Elizabeth Cowie. Pam Cook; Elizabeth Cowie; Alexander Doty; Richard Dyer; Amber Jacobs; Andrew Klevan; Annette Kuhn; Mathieu Macherey; Laura Marks; D.A. Miller; Laura Mulvey; Vivian Sobchack; Lesley Stern; Gaylyn Studlar; Dai Vaughan; and Patricia White. Read more about this video here. Read more about this video essay here. Read more about this video here: 'INTERPLAY: (Re)Finding and (Re)Framing Cinematic Experience, Film Space, and the Child’s World', LOLA, 6, 2015. Published in NECSUS: European Journal of Media Studies, Spring, 2015. Online at: necsus-ejms.org/film-studies-in-the-groove-rhythmising-perception-in-carnal-locomotive/, where you can also read the accompanying text: "Film studies in the groove? Rhythmising perception in Carnal Locomotive." RAGE IS EXPRESSED THROUGH A SOMERSAULT"
LESLEY STERN, "I THINK, SEBASTIAN, THEREFORE ... I SOMERSAULT: Film and the Uncanny", Australian Humanities Review, November 1997. "In the earlier film version of Stella Dallas [Henry King, 1925], the overwrought Stella takes refuge in the ladies’ waiting room at the train station directly after her visit to Helen [the woman to whom she has just entrusted her daughter]. She’s watched very closely by a woman whose flashy dress indicates her similarity to Stella in class status, if not in her dubious profession. The stranger offers the apparently inconsolable Stella a cigarette, and Stella puts it in her mouth and lights it end to end with the cigarette in the other woman’s mouth. A fade to black gives the gesture—which resembles a kiss—an elliptical significance, though nothing else is made of this scene. The shot echoes with Stella’s connection to Helen in the previous scene. But the silent version of Stella Dallas suggests that such sympathy, and women’s motives, need not be reduced to shared maternal feeling. The washroom “pick-up” scene doesn’t occur in the [original 1922 source novel Stella Dallas by Olive Higgins Prouty]. QUOTATION: Patricia White, Uninvited: Classical Hollywood Cinema and Lesbian Representability (Bloomington and Indianapolis: Indiana University Press, 1999), pp. 107-8. RITES OF PASSAGE from Catherine Grant on Vimeo. Also see: See "The Remix That Knew Too Much? On REBECCA, Retrospectatorship and the Making Of RITES OF PASSAGE", THE CINE-FILES, 7, Fall 2014.